As a smaller, boutique firm, we are able to customize our plans to meet each client's needs. Some clients just need a short-term social media campaign, while others require a full suite of just about everything we have to offer. Our company is known for offering clients added value via intensive project management services, nonprofit management consulting, and brand management. We have specialists on staff who possess over a decade of professional web and print copywriting and editing experience, and we have developed extensive protocols specifically for event-based marketing. 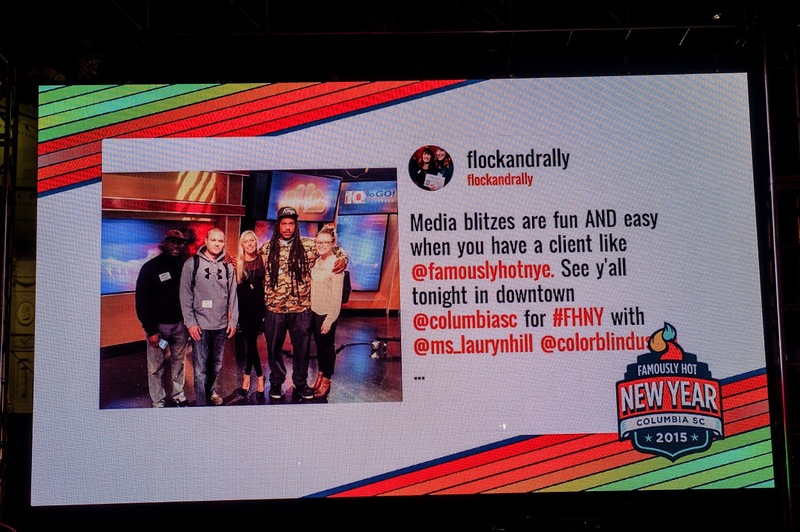 Clients work directly with the owners of the company in addition to the rest of the Flock and Rally team, which expands and contracts in size for each client. We are nimble and responsive, well suited for collaborating with your team at any level. Columbia Open Studios 2016, Presented by 701 CCA, with Cait Maloney Design. An integrated campaign is only as good as its parts; we work diligently to lace together the most effective outreach channels to ensure that audiences can find clients as quickly and easily as possible, whether it is online, via traditional media outlets, or in person. Our breadcrumb trail can be a wide or as narrow as our client needs it to be. We can develop and execute plans geared toward a hyperlocal audience or expand to hit regional, statewide, tri-state, or even national audiences. Helping a new brand develop a public identity is one of our favorite things to do. Brand refresh for Famously Hot New Year, with Cait Maloney Design. 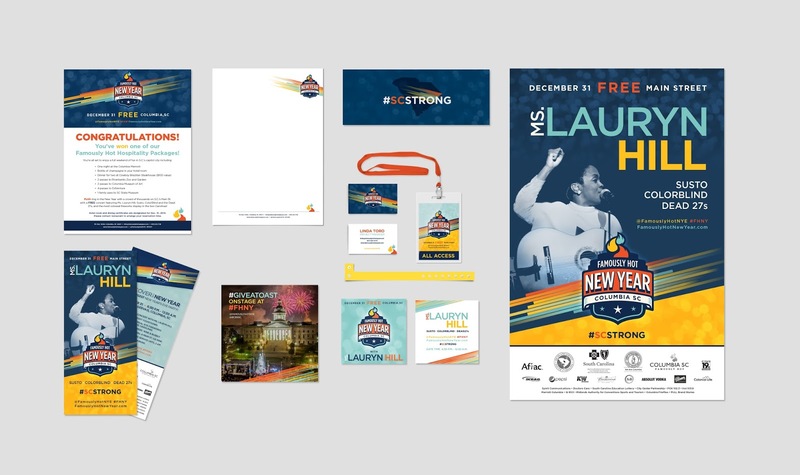 Building a brand requires that a lot of moving parts hum nicely together behind the scenes, including the logo, graphics, website, advertising and print collaterals like business cards, postcards and brochures, as well as a PR plan and press kit. Plus, you need an email marketing platform and a full suite of social media addresses actively driving traffic towards your brand. It's a big job. We love it. 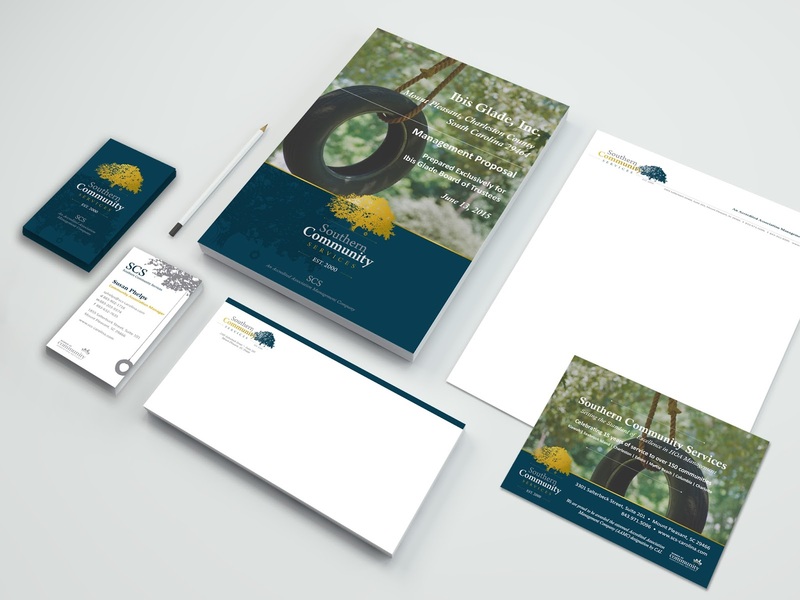 Southern Community Services 15-year anniversary rebranding, with Cait Maloney Design. Big launches and refreshes we've managed have included Southern Community Services, Famously Hot New Year, Columbia Open Studios tour presented by 701 Center for Contemporary Art, and the first year of signature performing arts programming at Harbison Theatre at Midlands Technical College. We extend rebranding to client websites, as well. 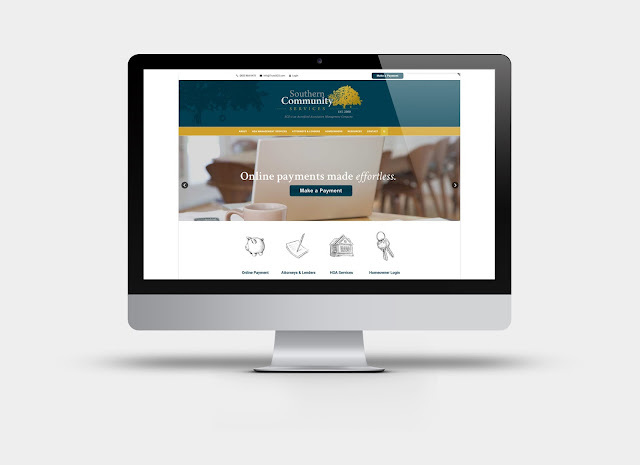 Our new site for Southern Community Services at TrustSCS.com, with Period Three web design & Cait Maloney Design. Our own Crafty Feast brand was founded by Debi and now is owned by Flock and Rally; we're very excited about how the Midlands community has embraced this indie, handmade craft fair, which sees 2,700+ attendees each December. 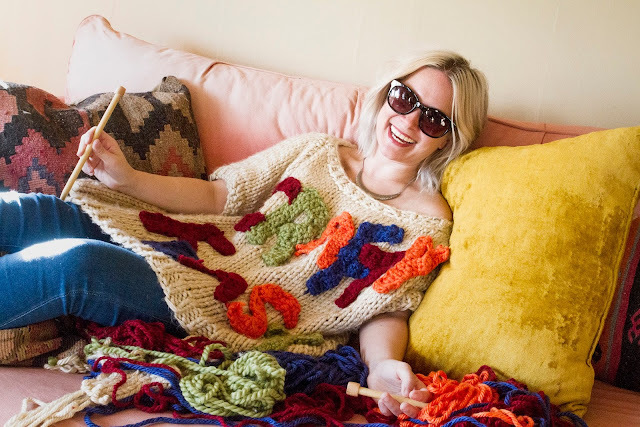 Crafty Feast logo sweater, hand-knitted by Shanika Pichey; photo & graphic campaign by Rhett Talbert. 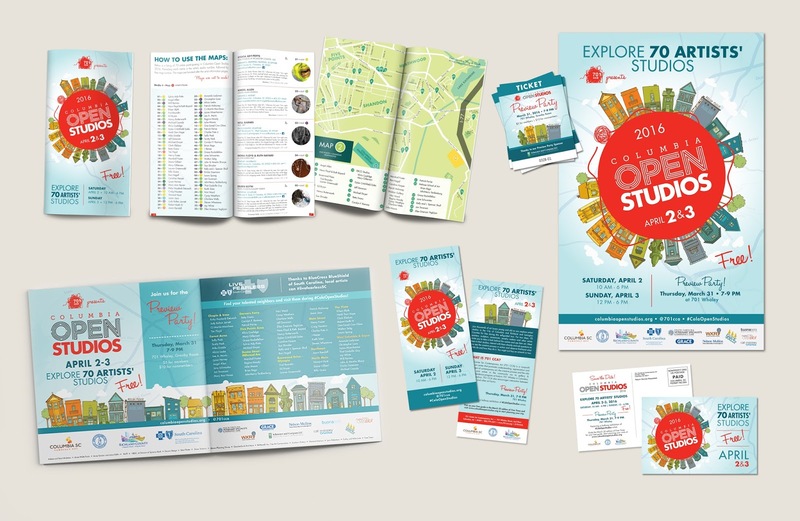 We've also managed brand launch campaigns for Upstream: A Center for Mindfulness Practice and Holistic Mental Health; Bone-In Artisan BBQ on Wheels; Marina Bay, Lake Murray Marina, and The Residence at Marina Bay; Hay Hill Garden Market; and the Palmetto Tasty Tomato Festival. We've been so happy to see clients flourish after their proprietors take the reins. 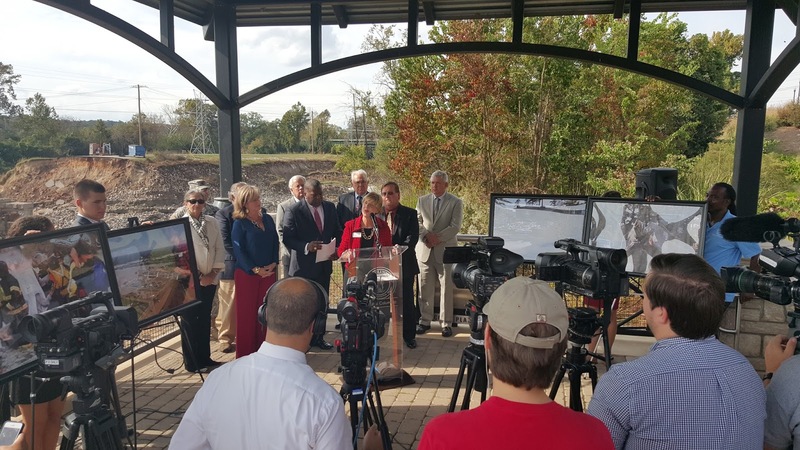 Whether we are coordinating a press conference and securing an all-play for a client, or simply pitching a few ideas to an editor, we approach public relations work with great care and respect for journalists, who work overtime to tell our region's best stories. JoAnn Turnquist of Central Carolina Community Foundation, Columbia Mayor Steve Benjamin, Cayce Mayor Elise Partin and the Regional Mayors Forum call for flood relief at the Columbia Canal in October 2015. Public relations work requires a significant time investment, first in developing the brand storytelling toolset, then determining the best way to use those tools to get media excited about the story. 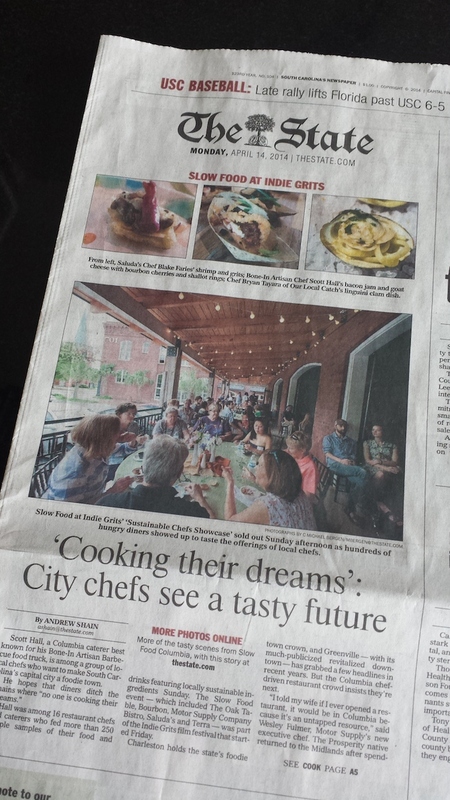 Slow Food at Indie Grits on the cover of The State, April 2014. 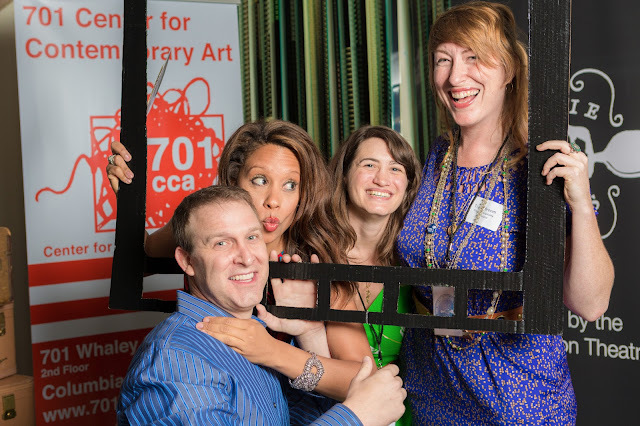 We love our local writers, editors, reporters and radio/TV personalities; we run into them at events, share high fives and talk about current projects -- because we all love what we do. Traditional press releases, media advisories, op-eds, letters, and pitches are an important part of any public relations initiative -- but the relationships are key. Social media has become an essential part of brand outreach, and we take it very seriously, integrating long-term social media strategy into our integrated communications campaigns. We're often to be found tapping away on our laptops and touchscreen smart phones, administering multiple client campaigns via Facebook, Twitter, Instagram, Google+, Snapchat and whatever's trending with decisionmakers. Our team is well-versed in developing and maintaining social media real estate for clients, in order to raise awareness and drive conversions. We love rolling out time-sensitive Instagram contests just as much as we enjoy laying out a strategy and implementation schedule for a plan with a dozen different campaign threads. Harbison Theatre at Midlands Technical College performing arts season brochure. Nothing pleases us more than to lay out a full year's worth of marketing, advertising, social media and public relations tasks. Then we tick them off, one by one. Direct mail campaigns based on target demographics? Done. Print collateral publishing, including project management, copywriting, managing creative, and distribution? Check. Sure, we love the creative, think-outside-the-box work, but we're not afraid of a mountain of plain Jane tasks. Not one bit. Motor Supply Co. 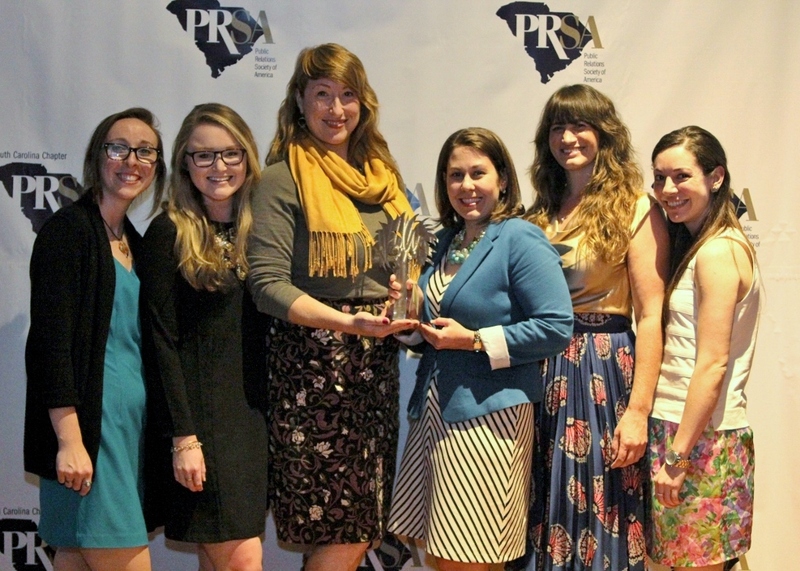 Bistro website, winner of 2013 SC PRSA Silver Wing Award of Merit. When clients need web design services, we examine their existing website and lay out fresh, streamlined information architecture that is geared toward improving guest experience and increasing web traffic. We collaborate with some of the best design and development teams in the business to produce beautiful, user-friendly results. 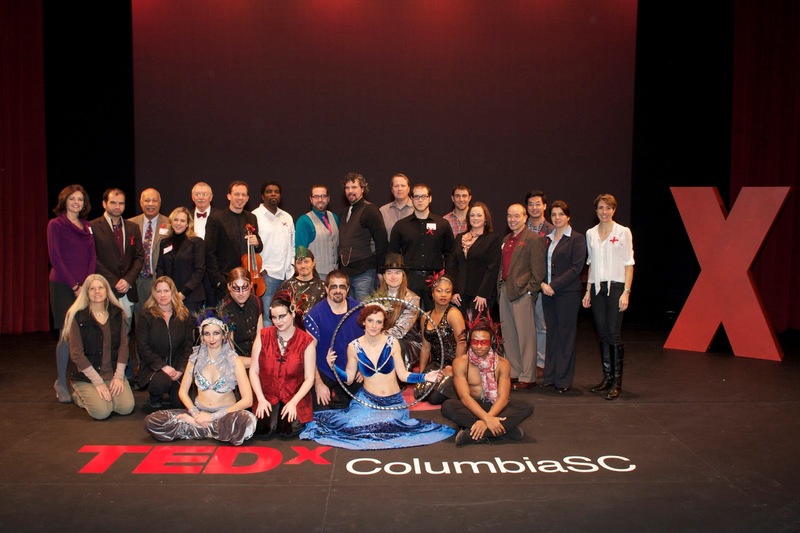 An exciting, inspiring conference can delight attendees and turn them into brand ambassadors. How to pull that off? We are passionate about developing nifty bells and whistles for our conference planning clients, customizing experiences for their audiences and creating a turnkey model for enjoying the surrounding city. We have extensive experience with city guide publishing and enjoy integrating the best and most interesting parts of the metro into the conference itinerary. Nuts and bolts are our domain as well, including venue selection, price negotiation and site layout; budget management; registration and web-based ticket sales; PR, marketing and website architecture; collateral design and production; timeline development, event flow and production schedules; vendor coordination for sound, lighting, decor, catering, rentals, etc. ; transportation, airport services, group hotel accommodations and room blocks; spouse entertainment and excursions; volunteer and staff management; social media integration, and more. We also do weddings from time to time. 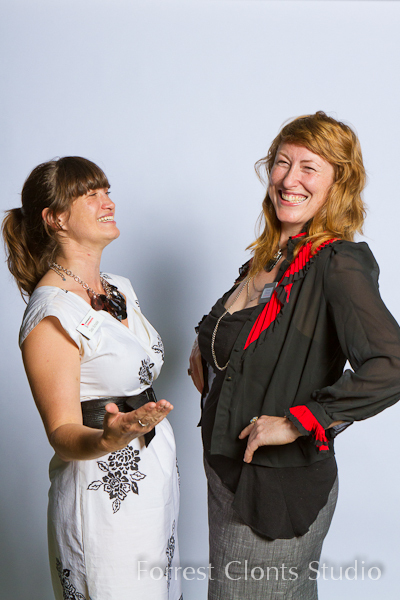 The nugget: we can’t help but make connections wherever we go, which means more resources + opportunities for our clients. Note: Flock and Rally is certified with the federal government as a Disadvantaged Business Enterprise and is eligible to partner or team on federal projects which include a DBE set-aside or requirement for women-owned and minority businesses. We are also certified with Richland County as a Small Local Business Enterprise, or SLBE.